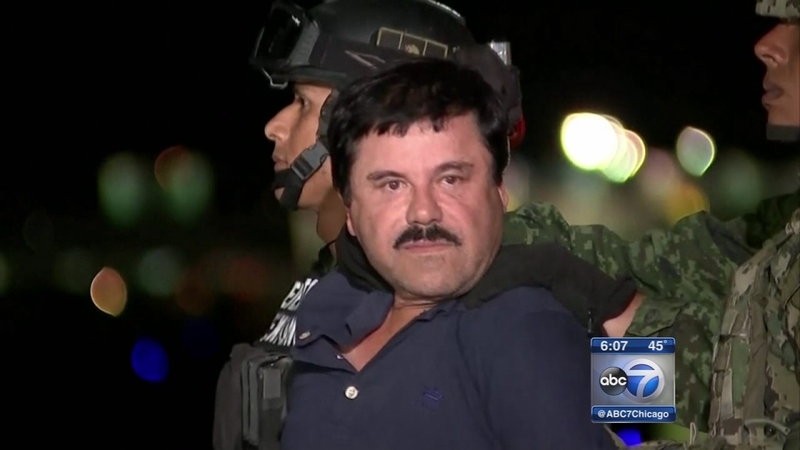 MEXICO CITY -- Convicted drug lord Joaquin "El Chapo" Guzman, who twice pulled off brazen jailbreaks, was transferred to a prison in northern Mexico near the Texas border early Saturday. The Sinaloa cartel boss was moved from the maximum-security Altiplano lockup near Mexico City to a prison in Ciudad Juarez, across the border from El Paso, a security official told The Associated Press, without giving a reason for the transfer. The official was not authorized to discuss the matter publicly and spoke on condition of anonymity. Guzman's lawyers are appealing a bid to have him extradited to the United States, where he faces charges in multiple jurisdictions. He was returned to Altiplano, where officials beefed up his security regimen. Guzman was placed under constant observation from a ceiling camera with no blind spots, and the floors of top-security cells were reinforced with metal bars and a 16-inch layer of concrete.